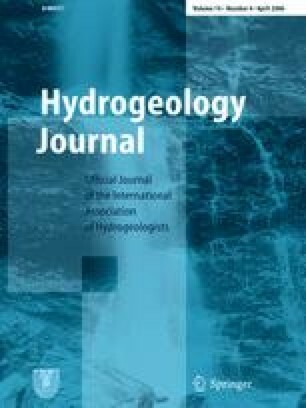 A comprehensive hydrogeochemical study was carried out in the Paleozoic Basses-Laurentides sedimentary rock aquifer system in Québec over a 1500 km2 study area. 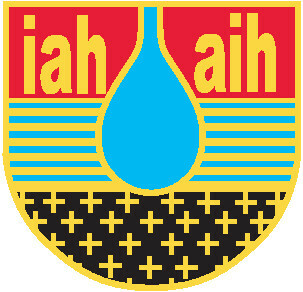 Groundwater samples were collected at 153 sites, characterizing all geological and hydrogeological units to a maximum depth of 140 m. Groundwater was analyzed for major, minor and trace inorganic constituents, stable isotopes δ 2H, δ 18O, and δ 13C of dissolved inorganic carbon (DIC), and some samples were analyzed for 3H, and 14C of DIC. The regional distribution of groundwater types shows that the hydrogeological conditions exert a dominant control on the major ions chemistry of groundwater. Preferential recharge areas are characterized by tritiated Ca-Mg-HCO3 groundwater, and confined conditions by submodern Na-HCO3 and Na-Cl groundwater types. Two groundwater end-members are identified in the aquifer system, modern meteoric water and Pleistocene Champlain Sea water. The region displays significant variations of groundwater geochemistry and quality controlled by glaciation, Champlain Sea invasion, lithological rock diversity, and flow system scales. This situation leads to varied groundwater types and origins within a restricted area. Une étude hydrogéochimique détaillée a été réalisée sur le système aquifère de roche sédimentaire Paléozoïque des Basses-Laurentides, au Québec, sur une région d'étude de 1500 km2. Des échantillons d'eau souterraine ont été prélevés à 153 sites, caractérisant l'ensemble des unités géologiques et hydrogéologiques jusqu'à une profondeur de 140 m. L'eau souterraine a été analysée pour les constituants inorganiques majeurs, mineurs et traces, les isotopes stables δ 2H, δ 18O et δ13C du carbone inorganique dissous (CID), et certains échantillons ont été analysés pour 3H et 14C du CID. La distribution régionale des types d'eau a montré le contrôle des conditions hydrogéologiques sur la chimie des éléments majeurs des eaux souterraines. Les zones préférentielles de recharge sont caractérisées par une eau souterraine enrichie en tritium de type Ca-Mg-HCO3, et les zones confinées par des eaux souterraines submodernes de types Na-HCO3 et Na-Cl. Deux sources d'eau souterraine sont identifiées dans le système aquifère, l'eau météorique moderne et l'eau Pléistocène de la Mer de Champlain. La région est caractérisée par des variations significatives de la géochimie et de la qualité des eaux souterraines, contrôlées par les glaciations, l'invasion de la Mer de Champlain, la diversité lithologique des roches, et l'échelle des systèmes d'écoulement. Cette situation engendre donc une grande variété de types et d'origines d'eau souterraine à l'intérieur d'une région restreinte. Se llevó a cabo un estudio hidrogeoquímico completo en el sistema acuífero de roca sedimentaria Paleozoico Basses-Laurentides en Québec en un área de 1,500 km2. Se tomaron muestras de agua subterránea en 153 sitios caracterizando todas las unidades geológicas e hidrogeológicas en una profundidad máxima de 140 m. Se analizó el agua subterránea por constituyentes inorgánicos mayores, menores y traza, isótopos estables δ2H, δ18O, y δ13C de carbono inorgánico disuelto (CID), y algunas muestras se analizaron por 3H y 14C de CID. La distribución regional de los diferentes tipos de agua subterránea muestra que las condiciones hidrogeológicas ejercen un control dominante en los iones mayores de química del agua subterránea. Las áreas principales de recarga se caracterizan por agua subterránea tritiada en Ca-Mg-HCO3, y condiciones confinadas por tipos de agua submodernas Na-HCO3 y Na-Cl. Se identificaron en el sistema acuífero dos miembros extremos de agua subterránea, agua meteórica moderna, y agua Pleistocena del mar Champlain. La región muestra variaciones significativas de calidad y geoquímica de agua subterránea controlada por glaciación, invasión del mar Champlain, diversidad litológica rocosa, y escalas de sistema de flujo. The project was carried out by the Geological Survey of Canada (GSC contribution 2003192), in collaboration with INRS-Eau, Terre & Environnement (INRS-ETE), Université Laval and Environment Canada. Funding for the study came from the GSC, Economic Development Canada, Regional County Municipalities (RCM) of Argenteuil, Mirabel, Deux-Montagnes and Thérèse-de-Blainville, Québec Environment Ministry, Conseil Régional de Développement-Laurentides, and Association des Professionnels de Développement Économique des Laurentides. Financial support for Vincent Cloutier was provided by the Natural Sciences and Engineering Research Council of Canada (NSERC), Fonds québécois de la recherche sur la nature et les technologies, and INRS-ETE as postgraduate scholarships. NSERC also supported René Lefebvre and René Therrien through operating grants. We acknowledge the Québec Environment Ministry for providing the analyses of inorganic constituents in groundwater. The drilling was partly supported by the Québec Ministry of Transportation. The authors thank Marc Luzincourt (Delta-Lab, GSC-Québec) for stable isotopes analyses. We also thank Dr. Christine Rivard for her internal review for the GSC, as well as Dr. Stephen Grasby, Dr. Ken Howard and Dr. Alfonso Rivera who provided valuable comments on an early manuscript as members of Cloutier's thesis committee. Finally, the authors wish to thank Dr. Perry Olcott (HJ Managing Editor), Dr. Ian Clark and an anonymous reviewer for their constructive reviews, which helped improve the original manuscript. The work of all students involved in the project as field assistants, and the collaboration of the population of the RCM giving site access are greatly appreciated. In situ field measurements were made on water samples for the following parameters: temperature with a glass thermometer, pH (accuracy of ±0.1 pH unit) and electrical conductivity (EC) with a YSI 63 meter, dissolved oxygen (DO) with a YSI 95 meter, and redox potential with a Hanna Instruments ORP HI 98201 meter. The redox measurements were corrected for the difference between the standard potential of the reference electrode being used at the solution temperature and the potential of the standard hydrogen electrode (Cloutier 2004). The field measurements were made using a container large enough to limit sample exposure to the atmosphere. Private wells were purged until stabilization of field measurements before sampling. The observation wells were purged with an approach combining field measurement stabilization, and a minimum of 3–5 well bore volumes. Samples for major, minor and trace constituents were collected in plastic bottles, kept in coolers, and shipped to the laboratory at the end of the day. Duplicate samples, about 7% of the total, were also submitted to verify data quality and accuracy. The laboratory of the Québec Environment Ministry performed the analyses using standard methods. Table ESM-1 provides the field sampling protocol and the method of analysis. Electro-neutrality was calculated to verify the analyses reliability. An electro-neutrality of ±5% is acceptable (Freeze and Cherry 1979). For the 153 regional groundwater samples, 134 samples have an electro-neutrality below 5%, 12 between 5 and 8%, and 7 above 10%. Samples with an electro-neutrality above 10% were rejected as they were generally missing important ions. The 146 groundwater samples, with electro-neutrality below 8%, are retained for the geochemical interpretation. Samples for δ2H and δ18O were collected in 60 ml HDPE bottles. The analyses were performed at the Delta-Lab of GSC-Québec and at the G.G. Hatch Isotope Laboratories of the University of Ottawa. H2 gas was extracted from water samples using the zinc reduction method (Coleman et al. 1982). An IRM spectrometer (Micromass Prism III) (Delta-Lab) and an automated double collector VG 602E mass spectrometer (G.G. Hatch) were used to analyze the δ2H ratios. Oxygen of 1 ml water samples was equilibrated with commercial CO2 at a controlled temperature using an automated system. δ18Owater was subsequently analyzed on the equilibrated CO2 with a VG-SIRA 12 IRMS. Isotopic results are reported with the standard δ notation as per mil (‰) deviations relative to V-SMOW. Analytical precision is ±0.1‰ for δ18O and ±1.5‰ to ±2‰ for δ2H. Samples for δ13CDIC were filtered, collected in 250 ml glass bottles, and preserved with HgCl2 to prevent modifications due to bacteriological reactions. Samples were analyzed by the Delta-Lab within a week following sampling. The δ13CDIC extractions were made by vacuum line acid stripping using 100% H3PO4, converting all dissolved inorganic carbon to CO2. A VG-SIRA 12 IRMS was used to analyze the extracted CO2. Isotopic results are reported with the standard δ notation as per mil (‰) deviations relative to NBS-19 (V-PDB), with an analytical precision of ±0.1‰. Some samples collected in 1 L HDPE bottles were analyzed for enriched 3H and 14C of DIC. Fourteen samples were analyzed for enriched 3H at the Environmental Isotope Laboratory (EIL) of the University of Waterloo by liquid scintillation counting. The precision for enriched 3H is ±0.8 TU. From these fourteen samples, twelve were analyzed for radiocarbon analysis of DIC. CO2 was extracted at the EIL, and analyzed by AMS at the IsoTrace Laboratory of the University of Toronto. The average precision for 14C is ±0.5 pMC.